You would think that anyone with the audacity to try to steal the Crown Jewels of the United Kingdom would suffer severe punishment, especially back in the 1600s. On the contrary—the one time the jewels were nearly removed from the Tower of London, the thief was handsomely rewarded for his crime. On May 9, 1671, self-appointed “Colonel” Thomas Blood (sometimes called "Captain Blood") executed the final step in a complex plan to steal the Crown Jewels. 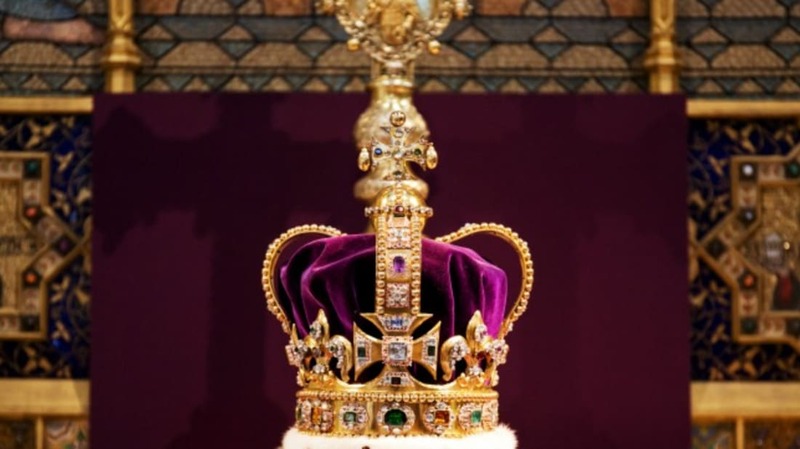 At the time, the jewels were relatively new—about two decades before that, Oliver Cromwell sold the old ones, stating that they stood for “the detestable rule of kings.” After Cromwell’s death, King Charles II promptly spent £32,000 on new ones made of solid gold and studded with hundreds of precious gems and stones. Blood apparently felt the showy display was in poor taste and set about to teach the King a lesson. First, he managed to befriend custodian Thomas Edwards, the man in charge of guarding the jewels. Edwards wasn’t paid for his work, but was allowed to keep the money he made from charging people to glimpse the treasures. Dressed as a vicar and accompanied by a woman pretending to be his wife, Blood started off by paying Edwards the customary fee to look at the jewels. They made friends during the tour, and afterward, Blood spent weeks getting chummy with the family, to the point that Edwards accepted a proposal to marry his daughter to the Bloods’ (nonexistent) wealthy nephew. Blood returned with said nephew on May 9—but the young man was certainly not there to meet his betrothed. One man shoved the Royal Orb down his pants, while Blood compressed St. Edward’s Crown (pictured above) with the mallet so he could easily conceal it in his coat. Unfortunately for the posse, Edwards’s son figured out what was going on and alerted the Tower guards. All four thieves were quickly apprehended. Remarkably, Blood wasn’t punished for his actions. In fact, apparently delighted by his gumption, the King rewarded him with a place in court and also gave him properties in Ireland. To this day, no one is 100 percent sure what inspired the King’s generosity, though some have theorized that Charles II believed Blood’s treacherous qualities would make him a great royal spy. Despite his sudden favor with the King, Blood’s reputation was still ruined. When he died in 1680, people assumed the con man had faked his own death in order to avoid paying debts. They had the body exhumed, just to be sure.